April has been an interesting month. Whilst I did find a couple of resounding successes, most of the dishes I tried out this month were nice but I had no particular desire to eat them again. Still, you can’t succeed if you don’t accept failure and none of them were a complete disaster. Plus the ones that were great were so great they made it all worthwhile. When I announced that spring onions were going to be this month’s vegetable, a friend told me I had to try scallion pancakes and she was absolutely right! They’re a little time-consuming to make but incredibly delicious and something I would totally eat every day! 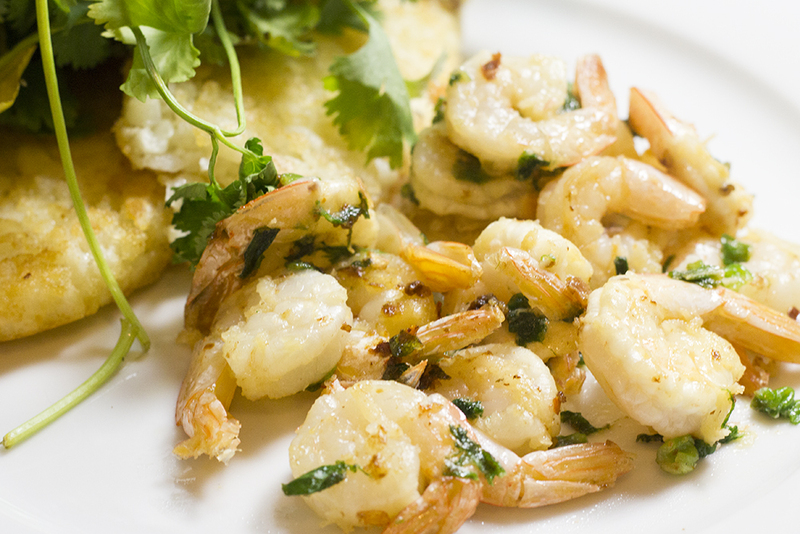 Perfect lunch, snack or side, they also work wonderfully dipped in egg for breakfast! Martha Stewart’s version of this Shrimp Scallion Stir Fry looks a lot more appetizing than mine but, to be fair, I threw this together on one of those nights when I just wanted to use up whatever I had in my fridge and not worry about going grocery shopping. 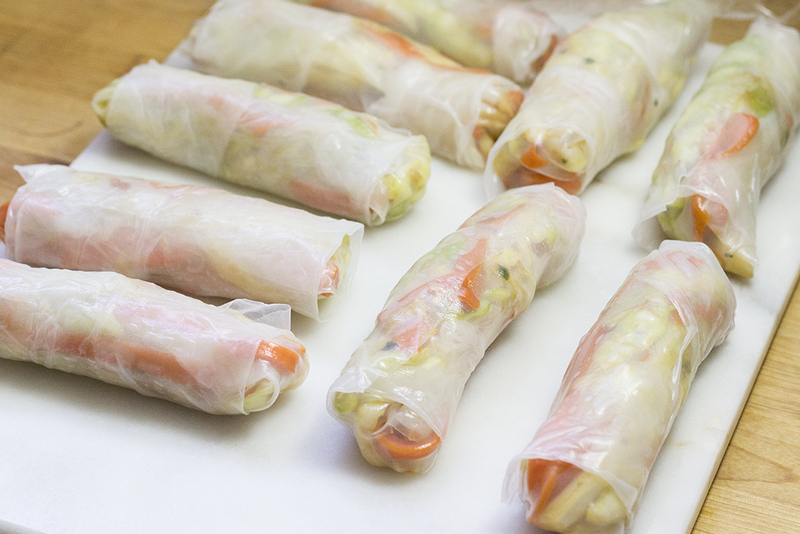 I had been meaning to make crispy spring rolls for the oscar’s party but in the end I cut them out to reduce the amount of preparation I’d have to do. Since they do have scallions in them, I decided to try them out for lunch this month instead. Unfortunately the wrappers I’d bought were rice ones (to cater to my gluten-free guests at the party) and it turns out they really don’t deep fry well. The filling was delicious though and I’ll definitely try again. I used this recipe minus the chicken. 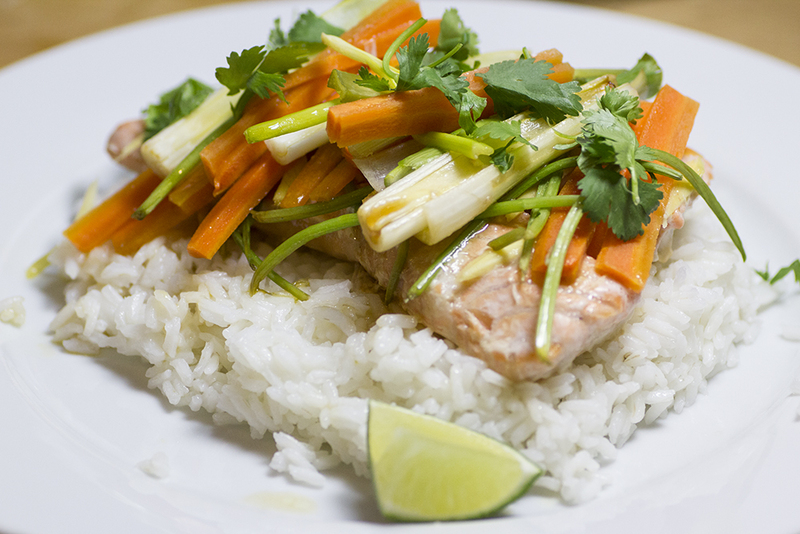 This Thai-inspired recipe for spring onion trout (I used salmon) was absolutely delicious! I found it a little undercooked for my taste but I think slicing the vegetables thinner and cooking for another 5 minutes would probably work. I would love to eat this every day but my husband doesn’t like fish or rice. I had hoped the stronger flavors in this dish might bring him round but sadly it wasn’t enough. 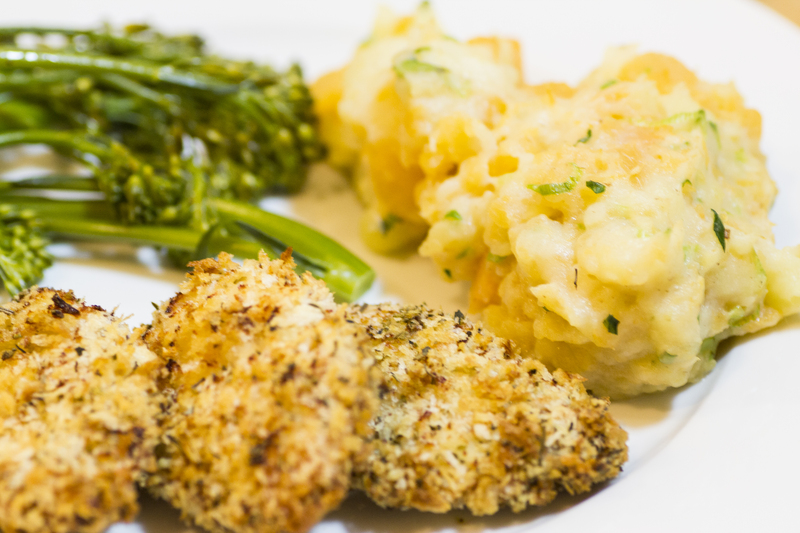 I made this scallion mash to go with my panko herb-crusted chicken. Not something I fell in love with but certainly something I’ll cook again. 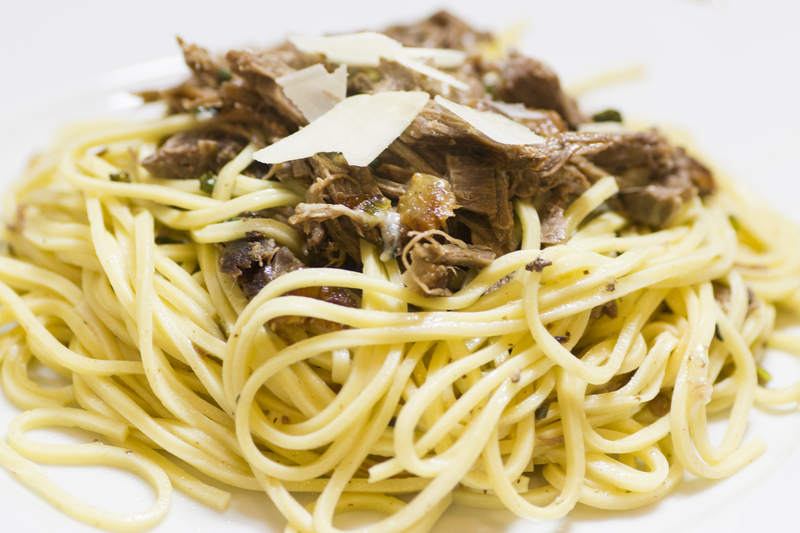 This roasted duck and green onion pasta is definitely something I’ll make again. It somehow managed to be both simple and rich and it was certainly worth the extra time for the duck to roast. 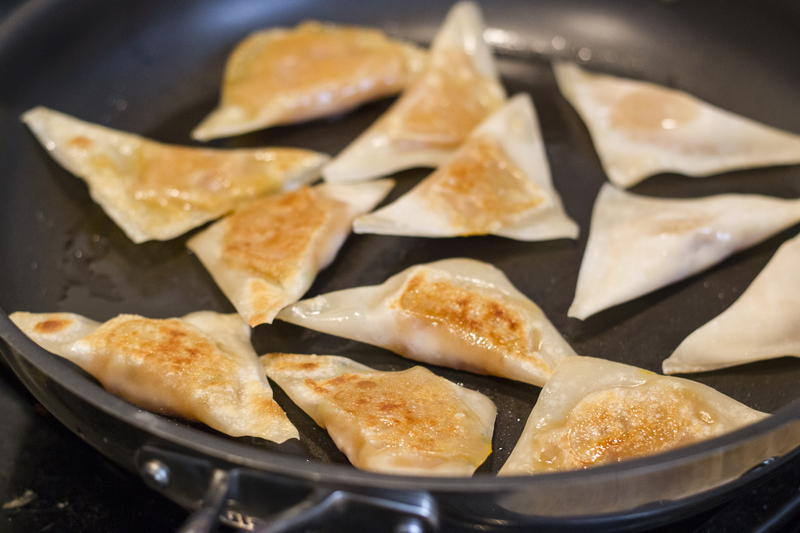 Although these butternut squash wantons aren’t something I cooked up this month, I did finish off the ones I had left in my freezer a few days ago. The scallions really make this recipe, even though there aren’t a lot in there, so I thought I’d share it again alongside the spring onion dishes. Did you try any good green onion recipes this month or do you have any old favorites I need to know about? Share them pleeease! This entry was posted in Food and tagged Dinner, Monthlyveg, Recipe, Scallions, Spring Onions. Bookmark the permalink.